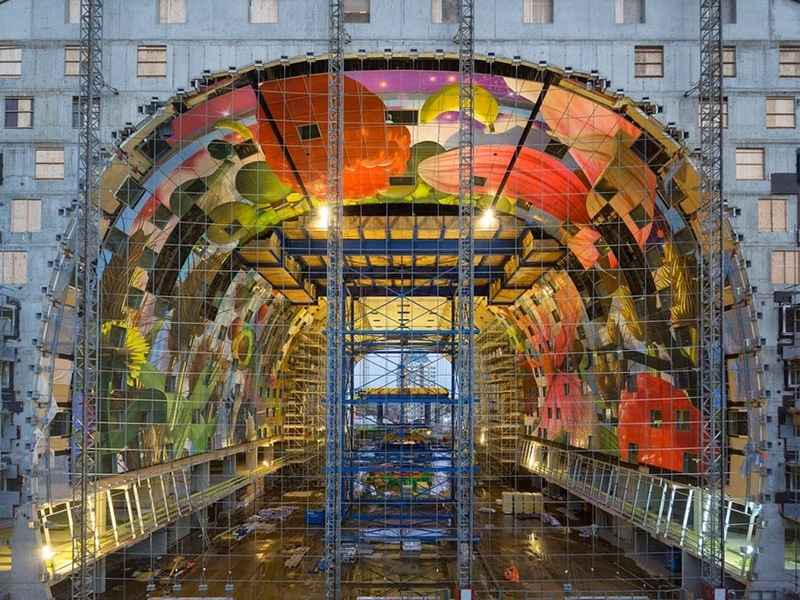 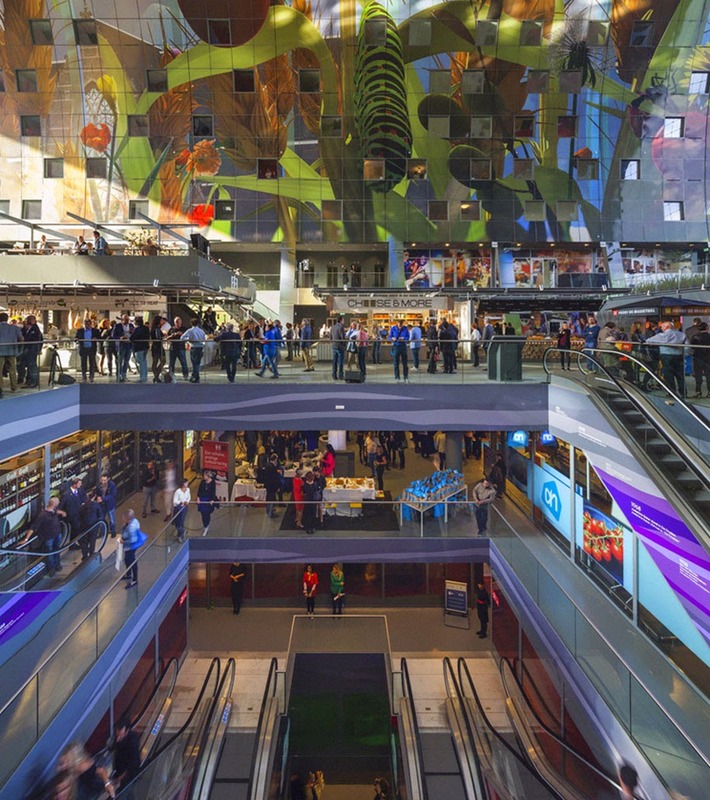 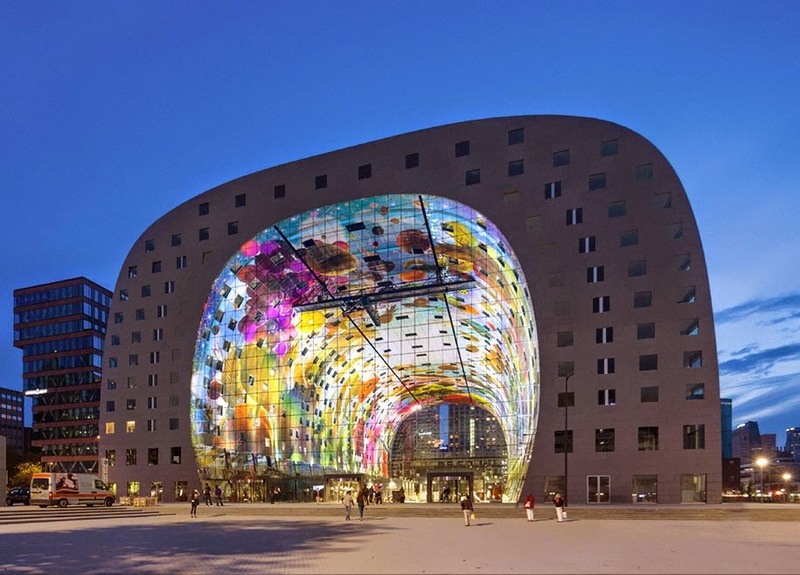 One of the biggest architectural projects in Europe in recent years, the Markthal Rotterdam, finally opened it’s doors on October 1st, welcoming visitors with a food market and housing development space, that’s 312 000 square-feet. 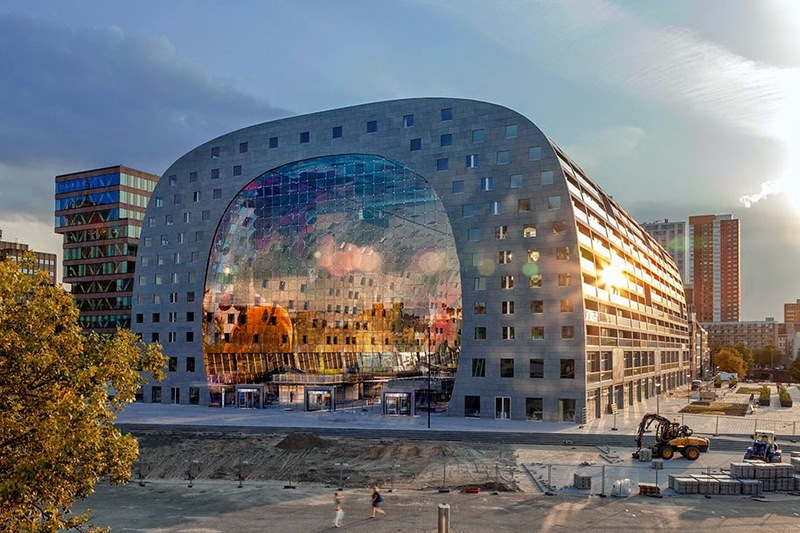 This unique building was designed by architecture office MVRDV and led by developer Provast, who took 5 years to build it in all it’s worthiness. 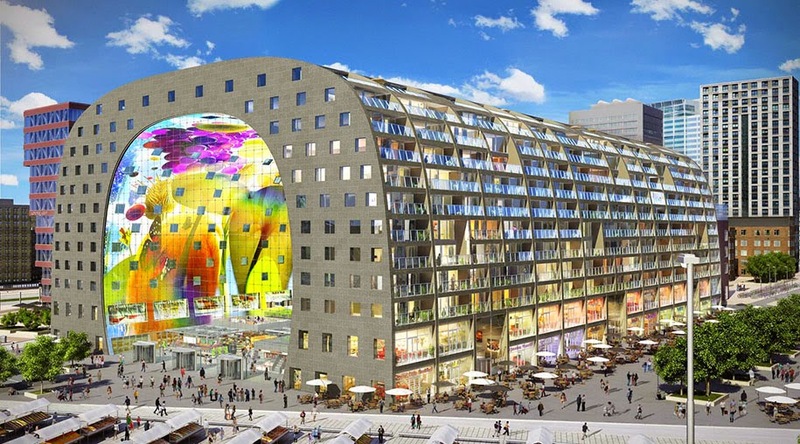 This horse-shoe shaped architectural marvel, features an open food market, 100 fresh produce units, 15 food shops, 8 restuarants, 228 apartments and 1200 parking places! 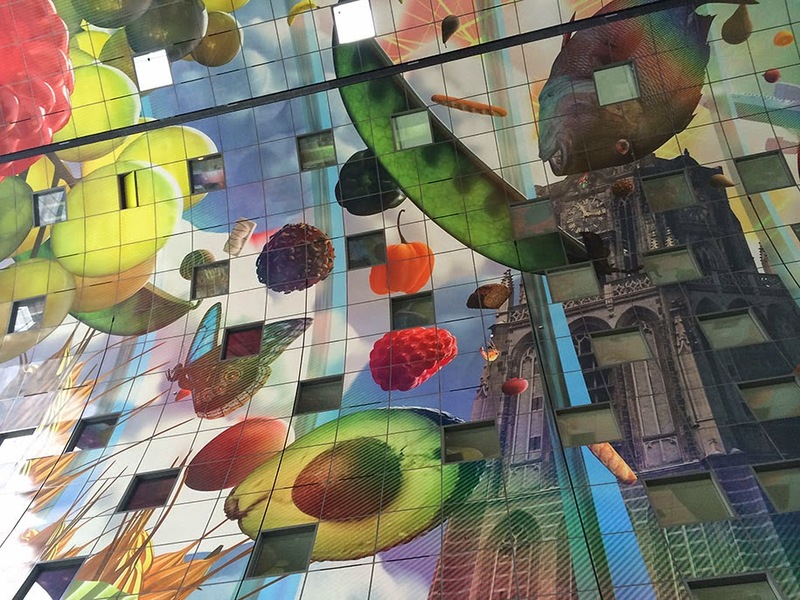 Oh, what a time to be alive!! 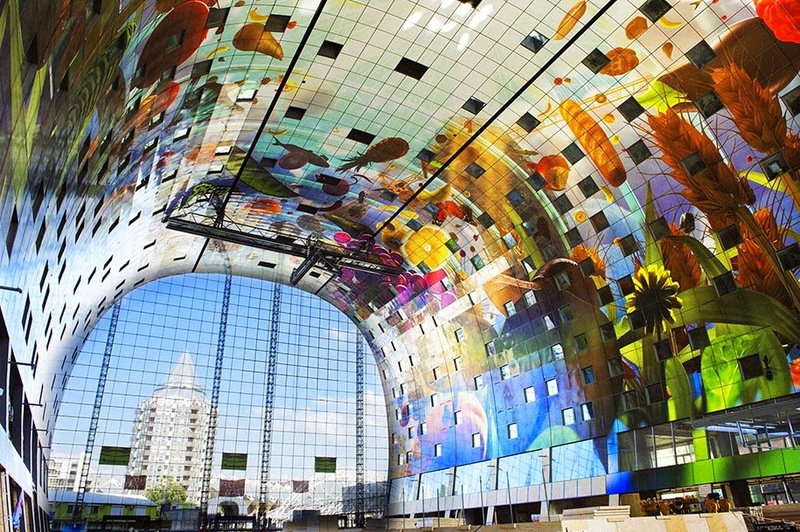 This creation seems to be unreal! 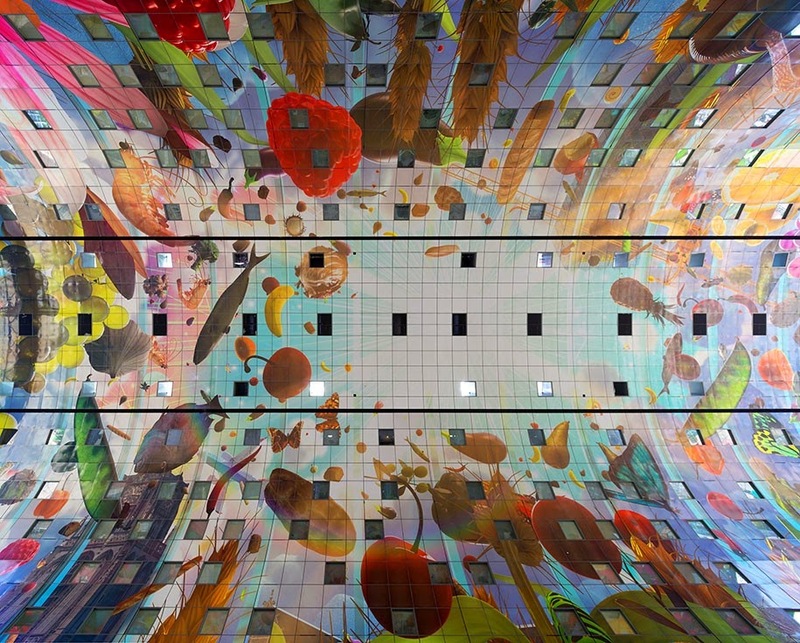 The largest, most eye-catching feature of this architecture, besides its shape and fresh content is the 36 000 square-foot colourful mural, which graces the entire ceiling of the structure. 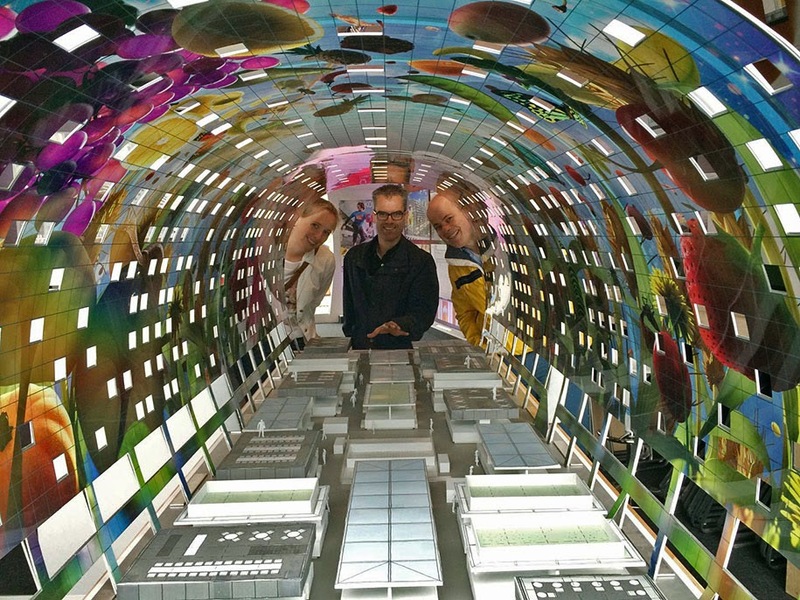 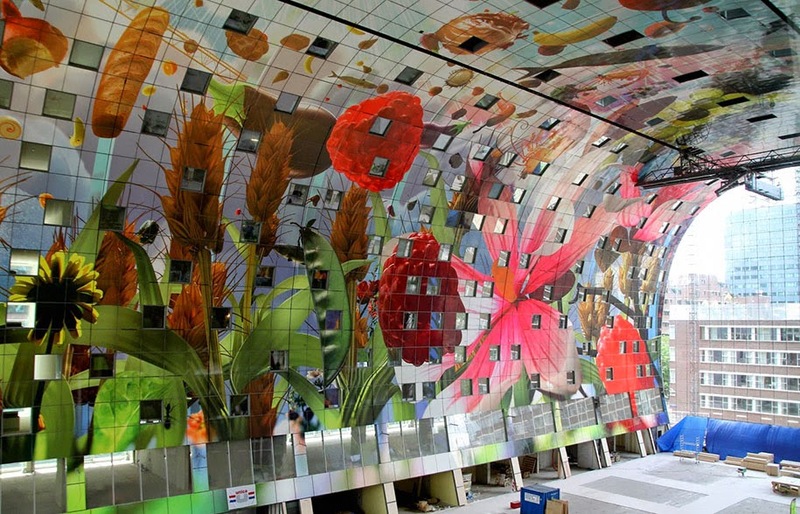 Designed by artists Arno Coenen and Iris Roskam, it is called ‘Cornucopia’, an enormous image of flowers, insects and fresh produce items are printed on separate squares of perforated aluminium panels attached to the building’s acoustic panels covering the ceiling itself. 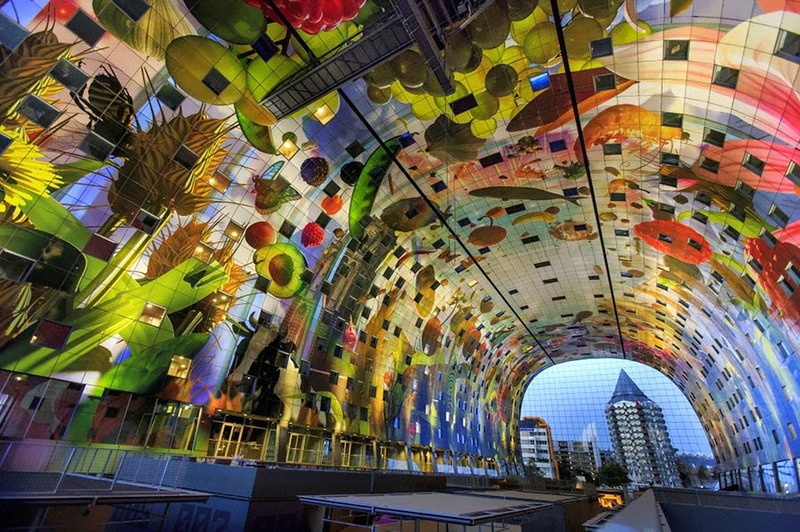 I guess we would have to visit to truly enjoy this beautiful vision of art!